Carslberg, the official beer of the England football team, has launched what they hope to be the best team talk in the world, in a television commercial featuring sixteen English sporting legends. The 90 second film features a cast list including 1966 World Cup winner Jack Charlton, five-time Olympic gold medallist Sir Steve Redgrave, 2003 Rugby World Cup winning coach Sir Clive Woodward, Sir Trevor Brooking, Nigel Benn, Stuart Pearce, fifteen times world darts champion Phil “The Power” Taylor and legendary adventurer Sir Ranulph Fiennes. It’s part of an effort to get England fans to participate in “probably the best team talk in the world”. The ad first aired on Saturday May 8th during and will run throughout June. 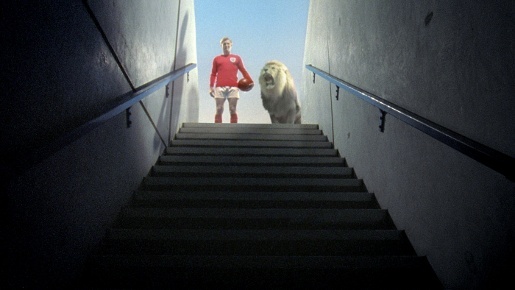 This advert is part of Carlsberg’s wider campaign to inspire the England team this summer, online at www.englandteamtalk.com. Since February, the brewer has been asking fans to show their support by creating their own team talks and has now unveiled its own version. The site includes behind the scenes filming and interviews. The ad begins two minutes before kick-off with Stuart Pearce delivering some final words of inspiration in the dressing room, we then follow the team on their way to the pitch being spurred on by the likes of Sir Ian Botham, Four-time World Superbike champion Carl Fogarty and five-time Olympic gold medallist Sir Steve Redgrave. 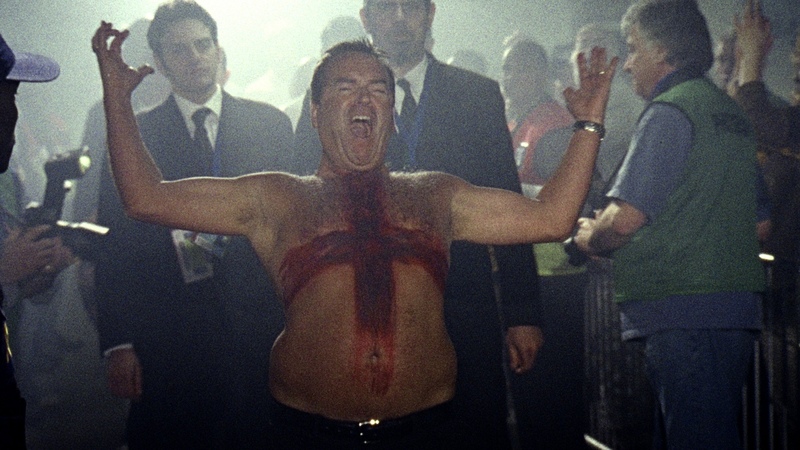 Having been cheered through the tunnel by a shirtless Jeff Stelling complete with St. George’s Cross body paint the final scene of the advert sees the team being led out of the tunnel by Bobby Moore alongside a lion as they prepare to take on the world. The Team Talk campaign was developed at Saatchi & Saatchi London. Filming was shot on location at the Den, Millwall Football Club, by director Jeff Labbe via Sonny London. Sir Clive Woodward, OBE, Sir Steve Redgrave, OBE, Stuart Pearce, MBE, Kasabian, Tom Meighan, Chris Edwards, Sir Trevor Brooking, CBE, Phil Taylor, Sir Ian Botham, OBE, Dame Ellen MacArthur DBE, Paula Radcliffe MBE, Dame Kelly Holmes DBE.